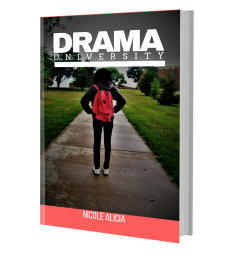 I was super excited last week,when I released my debut novel, “Drama University” on Amazon. As I have told many of you,I have been working on this same story for about 10 years! So many things had transpired in my life since I first conceived of the concept for the story and started jotting little notes in a notebook and then started writing full chapters down. Since 2007, I had moved 4 different times, got married, lost computer files (foolishly because of my own disorganization), had 5 different jobs, laid off from one, lost 4 different pregnancies, hospitalized and put on bed rest during my pregnancy (which lasted 3 1/2 months) with my son and then again suffered the loss of twin boys, one who I miscarried and the other was stillborn. (I’ll definitely write more about this later). So while most of my family and friends were like, yeah, yeah she wrote a book, I considered this not only a major life achievement after all I had been through but a tiny moment for me to shine and a moment to be excited because I finally after all these years get to share a fully finished body of work with my readers. Before I decided to go the independent route, I of course did my research. I wanted to know what the difference was between using a traditional publisher and doing it yourself. I mainly chose the independent route, one because I wanted to publish this book, this year! It was one of my main goals for 2017. I had been working on the same novel for so long, and hadn’t been able to move forward fully and write other works. I also wanted the creative freedom of making the cover look like what I envisioned, not someone else. 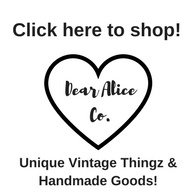 What does being an independent author mean to me? It means freedom. It means flexibility. At this point in my writing career, I didn’t necessarily want to be on someone elses time table or hand over creative control to someone else. Maybe later down the line, I may change my mind, but for right now this is where I want to be. I don’t write this to bash any other writer, though. I think the beauty of publishing is that there are different ways to do things. This is just strictly my own opinion.